A smartphone that has no physical buttons or even holes. 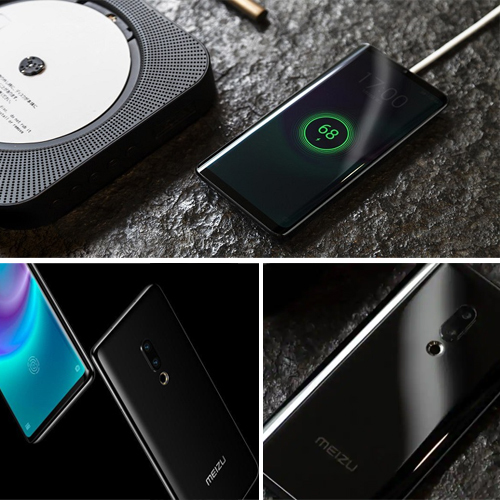 Meizu has come up with a model that it has appropriately named Meizu Zero. For increasing/decreasing the volume, the device has been built with a capacitive panel on the sides of the phone. The power button to switch the phone off from the working mode and to switch it back on has also been accommodated on these panels. A piezoelectric transducer embedded below the display does the job of the speaker and since there is no 3.5mm jack, the phone is charged with a wireless charging facility. If you were wondering how you would be able to transfer data from the phone to another device or vice-versa, then Bluetooth is the answer. And the most important of all, the SIM tray too has been dispensed with. You can use the Meizu Zero smartphone only with an e-SIM. Hence, there are zero buttons, zero holes in the Meizu Zero.